Cool mornings means we can break out the fleece. 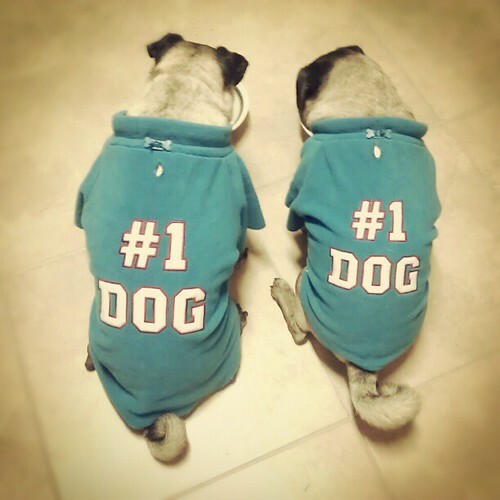 We found these at Petsmart - pug sized fleecies from the Martha Stewart Pet Collection. I'm always amused by how much pughair my fleece sweatshirts hold. And ironically, how pug fleece doesn't hold any of my hair.